1. Olomouc is a smaller, less-crowded version of Prague. Like Prague, Olomouc has an astronomical clock and a never-ending supply of delicious Czech beer. But unlike Prague (and the heavily touristed Czech towns of Cesky Krumlov and Karlovy Vary), Olomouc is not overrun with crowds of travelers. 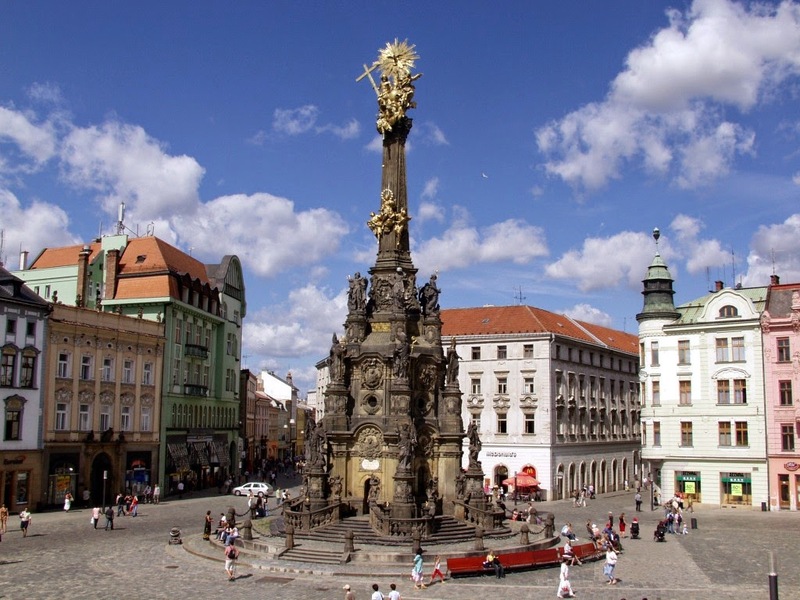 With the exception of Prague, beautiful Olomouc has the largest collection of historical monuments in the Czech Republic. Cathedrals, cobblestone streets, and baroque fountains are just a few of the things that contribute to the city’s fairytale ambience. Horní náměstí, the city’s main town square, is a great place to grab a drink and enjoy views of the fountains and the UNESCO World Heritage designated trinity column. There are plenty of restaurants and drinking establishments in the square that offer outdoor seating and a place to congregate for an afternoon drink. 2. Czech beer is the best in the world. Okay, I realize that this is my own personal opinion, but c’mon…Czech beer is darn good. Having been an inhabitant of the Czech Republic on two different occasions I’ve consumed a lot of its beer. And while I admit that I am overly biased toward the country’s pilsner, there is a reason why the one bit of Czech language I learned while studying in Olomouc years ago is “piet piv prosim,” which translates as “five beers please.” It tastes SO good. You can’t tell me otherwise. 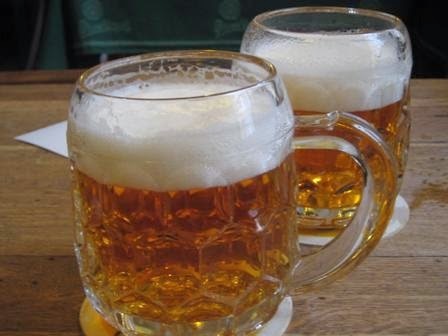 In Olomouc you can sample traditional and tasty pilsners at any bar, restaurant and even at McDonalds. You can also test out some of the craft beers that have become incredibly popular there during the last few years. 3. You can sip a beer while simultaneously bathing in beer. Love beer enough to bathe in it? That’s right, Olomouc is home to a beer spa. Slatovaclavsky Pivovar is a microbrewery and restaurant in Olomouc that has a beer spa in its cellar. 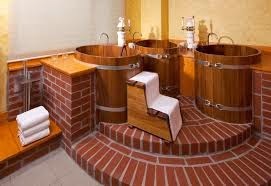 During a visit to the spa you can soak in a tub of beer and drink a beer at the same time. The brewery and spa serves seven unfiltered and unpasteurized beers. 4. 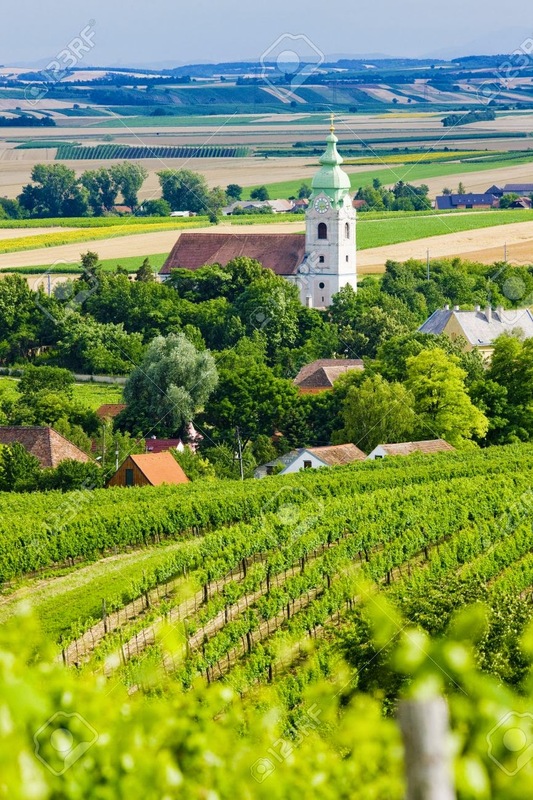 Moravia is heaven for wine lovers. So maybe beer isn’t your thing. Not to worry, the eastern part of the Czech Republic (where Olomouc sits) is the country’s wine region. For many in Olomouc wine is the drink of choice, and there are several wine bars in town. 5. Tequila shots are more fun in Olomouc. No, Olomouc isn’t known for its own brand of tequila. But, there are two things I love about drinking tequila in Olomouc. One is that shots are generally served with cinnamon and an orange slice, which is a nice change of pace to the traditional salt and lime. Also, on multiple occasions in different establishments I was served a tequila shot on a special tray. What made it special? The tray had a bell on it that you could ring if you wanted another shot. Needless to say, the novelty and enjoyment of ringing a bell seems to increase with each shot you take. So a group of friends + tequila + a bell = an interesting night out. 6. You can relive your youthful party days in Olomouc. Olomouc is a college town. It is home to Palacky University where many Czech and international students study. Because of the high student population, there are a lot of drink options available that are targeted to the “drink and dance all night” student crowd. Red Bull and vodka, Red Bull and champagne, Red Bull and well…just about anything is readily available if you find yourself needing an energy boost or you want to try to fit in at one of the few student dance clubs. Olomouc is noticeably quieter in the summer when the students go home for break. If you visit then you might find some of the bars close earlier. 7. 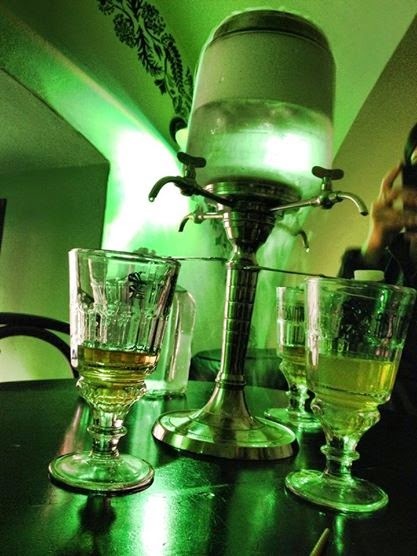 There is always absinthe. Drink it with just a sugar cube, light it on fire or invent your own ritual. There are plenty of options for drinking absinthe in Olomouc. 8. You can enjoy your drink with a side of stinky cheese. So here’s the deal, Olomouc is famous for what has to be the most awful smelling cheese on earth. It is called Olomoucké tvarůžky and its smell is seriously offensive. But for some reason, there are people that really like the stuff. (Not me.) Locals love to convince you to try it alongside a beer. If you happen to like the stinky cheese you are in luck, many places in Olomouc serve it. If you’re scared off by the odor, I would suggest the fried cheese as an alternative food to pair with your drink. Outside of cheese, Olomouc – like the rest of the Czech Republic – has some really hearty and amazing cuisine that makes for enjoyable dining and drinking. 9. It is super affordable. The Czech Republic in general is a relatively inexpensive place to travel. And, like anywhere, if you avoid the most touristy places things are cheaper. That means drinks are cheaper and you can enjoy more of them in Olomouc. 10. Czech people make great drinking buddies. My own personal observation is that a lot of Czechs have an endearing, coarse exterior. It’s a badge that shows that as a people, they’ve endured some tough times. But beyond that easily penetrated surface, they are incredibly warm, welcoming and genuine. Czechs make excellent drinking partners for two reasons 1) they have a wonderfully wry and satirical sense of humor which guarantees good conversation and plenty of laughs, and 2) they’re known to be a culture of drinkers, so it is easy to find someone to share a drink with. To go along with this last point, Czech people say they can easily spot tourists because natives order large beers while tourists order small beers. So when in Rome – or Olomouc – always choose the large beer. What’s your favorite “unknown” drinking destination? Let me know. Na zdravi. Stephanie Grams is a former two time resident of the Czech Republic (Prague and Olomouc) whose maiden name "Pivovar" is Czech for brewery. Stephanie is a wife and mom that loves to travel but hates to fly. She enjoys (in no particular order) trains, falafel, board games, mountains, drinks with umbrellas, concerts and her family.